I’ve made it a goal for 2018 to step a little bit more outside of my comfort zone. This post is a true example of me doing that! Why? You’ll see below! 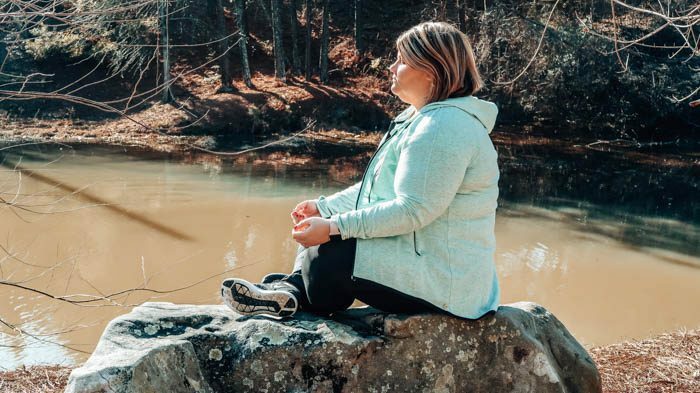 I’ve been more open to exploring new activities outdoors and including things like meditation into my daily routine. Honestly, I’m kinda loving it! I’ve made a commitment to myself to work on bettering my life and that includes taking better care of myself. I felt for the longest time that I was so stressed out and was running on empty far too many times than I’d like to admit. So when I thought long and hard about my goals for the year, putting myself and my health on the top of that list was really important. 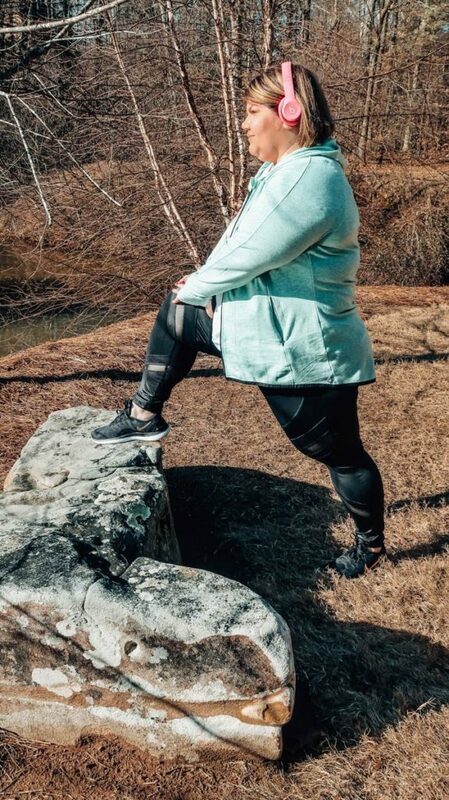 Being a “plus size” woman, I will be the first to admit that finding good quality, comfortable activewear can be such a struggle. Just because I’m not the fashion industries typical size doesn’t mean I still don’t want to have stylish options presented to me. 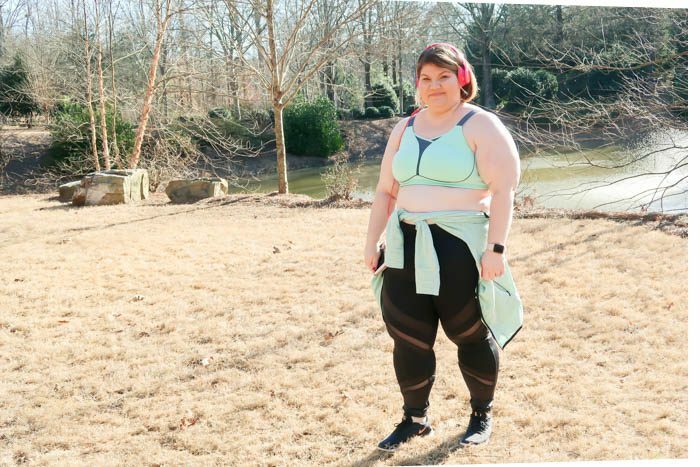 Also, I already feel pretty darn vulnerable working out as it is, so I want what I’m wearing to fit me comfortably and we all know that when we love the way we look, it helps us feel that much better about ourselves! Well folks, once again Lane Bryant has me falling in love with them all over again. 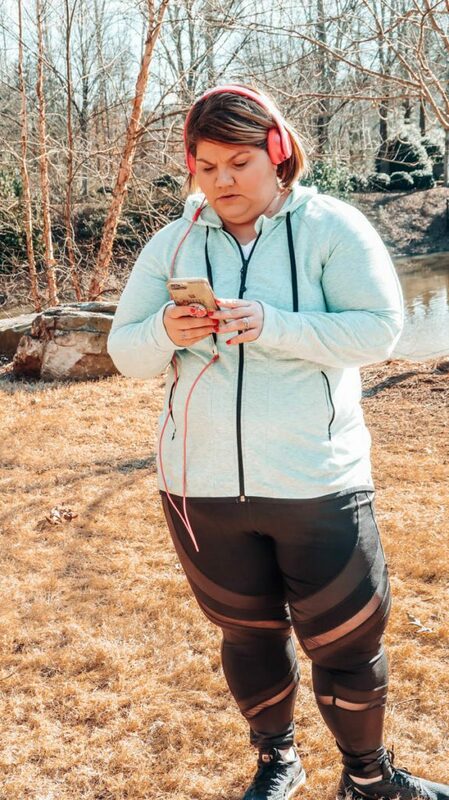 Let’s chat about their LIVI Activewear Collection. As soon as I saw these pants I wanted them! They’re a little bit edgy and so my style! I love the contrasting shiny finish and the chintz splicing. The one thing I love the most about these pants has to be the waistband. It’s amazing for helping give me a little bit more of a smooth appearance in my tummy, which happens to be one of the areas that I’m most insecure about. Plus, there’s a hidden pocket in the waistband that is perfect for holding a key or even a credit card. The length of these is a tad bit on the long side, but I can still totally get away with wearing them. One of the unique features of these pants has to be that it has built-in 50+ UPF sun protection and they are awesome at helping with moisture wicking and keeping your skin comfortable! I LOVE this jacket so much!! It’s very lightweight and it’s also a little bit longer in the back which is great for making sure that my booty is being covered, ha! This jacket features zip pockets and thumbholes in the sleeves! 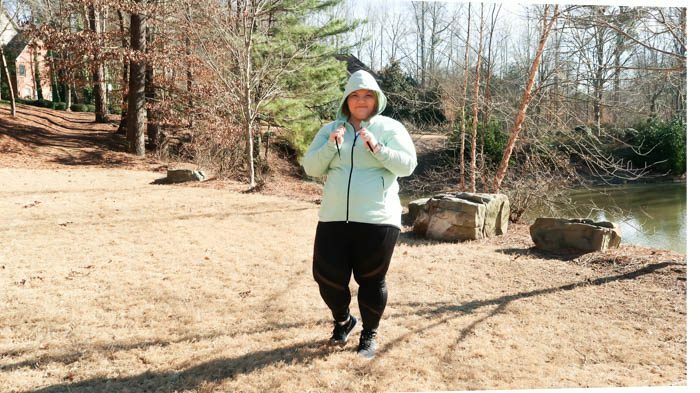 It’s a very comfortable jacket that I even find myself wearing outside of gym time! Plus, I love this color it comes in called Yucca. Don’t worry, if black is more your color-it’s available in that also! I’ll admit that I had a little bit of trouble getting a perfect fit with this sport bra. I had Lane Bryant send me the size I normally wear, but I actually had to go up a size in the band. As far as the cup size, I think I could possibly go down one more size than I got, especially if I keep losing weight. So my honest opinion is to go into a store if there is one close to you and have them measure you! The in-store associates helped me so much! This is a no-wire sport bra that has a cool-touch fabric that feels very breathable. Even when I’m super sweaty, this bra feels great and helps keep my skin so much more comfortable than most bras have before. The straps are wider and I love that they can be worn traditional or cross back if you want! It also features built-in 50+ UPF sun protection! When I talk about health, I’m not only talking about physically but also mentally. Part of me becoming more “healthy” has also been me working on my mental health. I’ve been taking time to meditate and listen to guided lessons on apps that I have on my phone. They’ve been absolutely amazing. It’s been going so well that I plan on doing an entire post on what I’m using because I think it’s super beneficial for everyone to take a break and work on yourself. As far as physical health, I’m working on my diet once again. I’ve been trying to be more aware of what I’m putting into my body and focusing on food that will help fuel my body and my mind. Adding more color to my diet, focusing on drinking more water and trying new recipes. I think that after everything I went through last year (health-wise) has me wanting to take a more proactive approach to my health and I’m trying really hard to work on myself this year! Also, I’ve cut back on the amount of tv I’m watching and instead, I’m reading more (I got sucked into a series that I’ll share on the blog soon) and I’m also spending less time online! Yes, you can limit your online time even as a blogger! Do yourself a favor and try it for a day or two! Instead of watching tv as much as I used to, I’m listening to audiobooks and music. It’s been a nice change! No more feeling horribly uncomfortable when I try to work out! 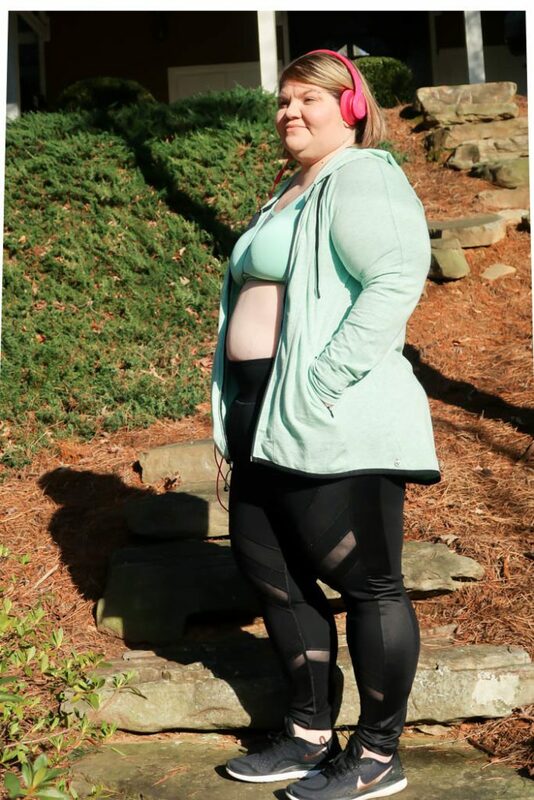 This line of activewear felt like they were made for me and my body type! 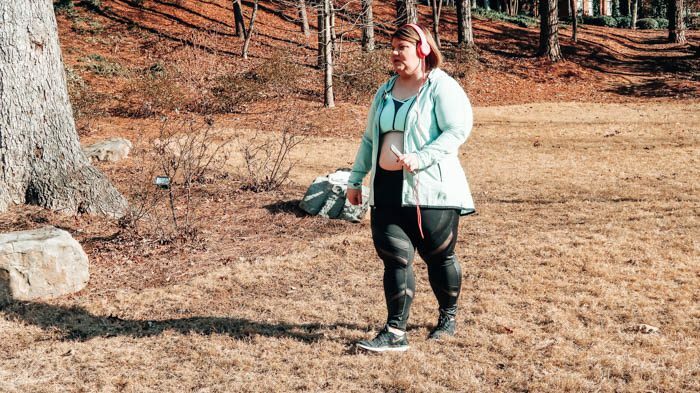 You guys know there is nothing worse than when your waistband keeps falling down constantly, your sport bra not doing its job properly while you’re trying to run on the treadmill and the jacket that you’re wearing being too tight in the arms and not even covering up your stomach when you move. 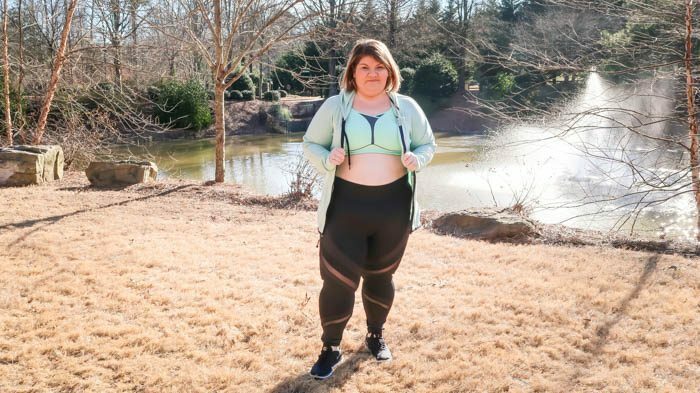 No one wants to feel uncomfortable and thank goodness that since I’ve worn the LIVI Activewear line, I can work out in style AND I can feel that much more confident about myself while working on a better me! Miss my other posts where I’m wearing Lane Bryant? 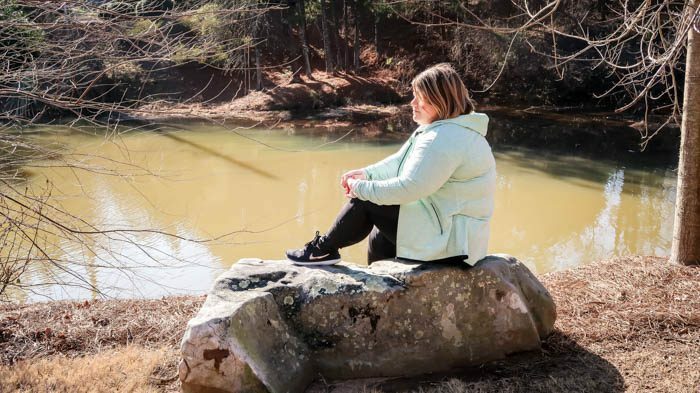 Thanks to brands like Lane Bryant for always giving women the chance to feel beautiful, no matter what size they are! Do you think you’d like the LIVI Activewear? I just checked and right now they’re offering Boy One Get One for $15.00 and $25.00 off when you purchase LIVI Sculpting! I am for sure picking up some more pieces! Thanks to Lane Bryant for gifting me these pieces! All thoughts and opinionsa are my own!